Coloring your hair, a crazy color is something that more and more women are considering. 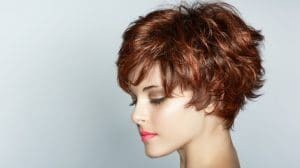 It is not only looking great, but it is ideal for those that are looking for a way to look different and unique. The problem with purple hair dye is that you need to make sure that you are knowing everything about it before you are purchasing your own purple hair dye. From selecting the right color, to how they make sure that your color is staying vivid and beautiful for as long as possible. With this guide, you will get all the information you need to know in order to color your hair purple and to love every minute of it. Should I bleach my hair before dying it purple? Can I dye my hair purple at home? How do I keep my permanent purple hair vibrant and bright for as long as possible? There are different shades of purple. Which one do I choose? Purple hair is looking so great. Especially, when you are looking at pictures of people with purple hair. You will see different purple shades and you will see that it is always looking great. However, there is one thing that you should know about dying your hair a crazy color like purple. Secrets that no one is telling you. Secrets that are important to know. The color is fading within days. 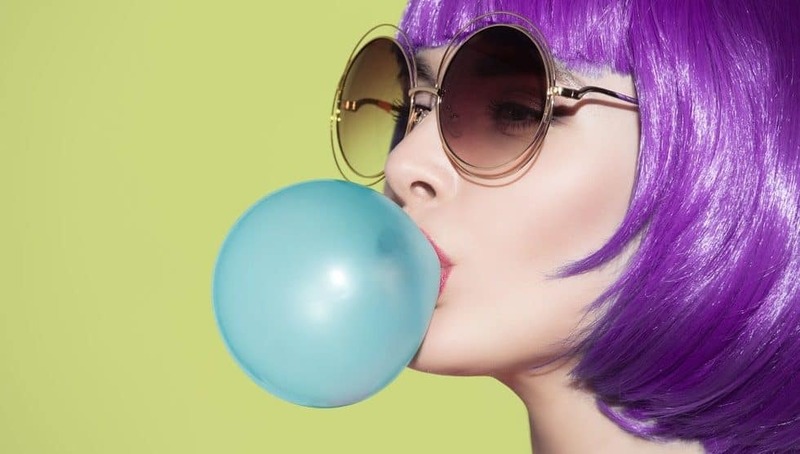 There isn’t really a permanent purple hair color, and if you are lucky enough to find one, you are still going to have a color that is going to fade. You need to take special care about it, to keep your color vibrant for as long as possible. Wet hair is going to leave purple stains everywhere. When you have colored your hair purple and you are washing it, it is going to stain everything. From your towel to your clothing. So, don’t wear white on hair washing days. Washing it in cold water. If you think of coloring your hair during the winter, you need to know that you are going to get really cold. This is because you need to wash your hair in cold water. Making sure that you are keeping the color bright for as long as possible. There are a couple of things that you need to know to consider, before dying your hair purple. Things that will let you decide if purple is really the way to go for you. There are different shades of purple that you can dye your hair in. You should make sure that you are choosing the right shade that will suit you best. Your natural hair color and your skin color will play a roll in deciding the shade that you want. Don’t just purchase the first and best purple dye that you can find. You need to know if you want this color permanent or temporarily. If this is the first time that you are coloring your hair, then temporarily purple color is recommended. You don’t want to dye it permanent, just to find that it is hard to get out. As mentioned before, you can’t just dye your hair any purple shade and think that you are going to get the color of your dreams. There are a couple of things that you should know before you can get the color that you want. For starters, know if you want a bright purple or a pastel purple. And, you need to consider the shade that your hair is already. The lighter your hair, the more vibrant your color is going to be. You might want to consider using a professional to dye your hair purple. This is the best and easiest way to ensure that you are getting the shade that you want. There are too many people that are trying to color their own hair, just to realize that they have made a huge mistake with the color they have chosen. You might need to bleach your hair. If you have dark to black hair, purple hair won’t really be visible until you have bleached your hair. This is the one thing that women might not like to do. But, with the right care and by letting a professional doing it for you, you will not damage your hair too much. If you decide that you don’t have another choice than to bleach, in order to get your purple color, you should go to a professional for bleaching your hair. This is the only way that you can be sure that you don’t damage your hair too much. The Lime Crime unicorn hair aesthetic is a semi-permanent hair dye. However, it provides a vibrant hair color that is going to long-lasting. When this color washes out, you are going to get a soft pastel color. It will never become ugly and pale. Reviews are stating that on darker colored hair, it will work best on bleached hair. The color won’t be really visible on darker hair. Not only are there purple dye, but there is a huge amount of other shades that you can choose. Making this great, no matter what color you prefer. When you are using the Adore-Creative semi-permanent color for dying your hair, you won’t damage your hair at all. The dye doesn’t have any peroxide, alcohol or ammonia in. It is easy to apply and to use. Applying it isn’t messy at all. There are people that have reported that if they are using it with conditioner, it is giving them a lighter effect. Especially, those that have blond hair. This is one of the best brands for coloring your hair in a crazy color. And, the price isn’t too high as well. Another popular brand that is a semi-permanent hair color is the Joico intensive hair color. This is going to give you an intense hair color and you are going to have a professional look. It has a variety of colors that you can choose from, and Purple is one of them. It leaves your hair shiny and soft. The only downside is that this is one of the more expensive color dye that you can purchase. But, it will be worth it. It will never fully wash out. It is going to leave a tint until you recolor with the purple dye or until you color your hair to a normal color again. If you are looking for a purple hair dye that is ready to use, then you should consider using the Manic Panic purple haze. This is a hair color that doesn’t need premixing. To light hair, this dye is giving vibrant, bright colors. On darker hair, it is giving highlights. So, if you want vibrant and bright colored hair, then bleaching it before using the manic Panic haze is important. It doesn’t really completely wash out, but it will fade as you are washing your hair. Because this is premixed, it is quite easy to use. You don’t need to worry about struggling to use the dye yourself. There are other colors as just purple as well. So, you can choose any color that you like for the look you want. The fudge paintbox creative conditioning color is one of the better and more recommended options for purple hair. Even if this is recommended that you should bleach your hair before applying it on darker hair, it isn’t really necessary, according to a couple of online reviews. If you just want to have a shade of purple, and you have darker hair, it should give you the right amount of purple. And, this without bleach. However, bleach might be required, if you are looking for a darker, brighter purple color. Even, just a small amount of bleach will work. There are people that are only using vegan hair products. If you are one of them, you don’t need to worry that you won’t be able to dye your color any bright color you want. With the Arctic Fox, hair color dye, you can know for sure that the product is 100% vegan. Making this the required product for vegans. No harmful chemicals were added to the hair dye. It won’t damage your hair in any way. It is gentle on the hair, but at the same time, it will provide vibrant hair color that will last for quite some time. If you are purchasing one of the colors of the Arctic Fox range, they will donate some of the profit to charity for saving animals. Easy to apply with a sweet scent. Don’t need to worry about having a strong smell for a day or two. Another Vegan purple hair dye that you can purchase is the Special effects hair dye. The other great thing about this hair dye is that you can choose a huge variety of colors and shades. Purple isn’t the only color that you can purchase. This is a semi-permanent hair color that will condition your hair as it is coloring. Making sure that your hair is soft and shiny. Something about this dye that you need to be careful of, is the fact that it can stain clothes and your bath really easily. Making sure that you wash your bath immediately after rinsing off the dye. The same goes for the clothing that you are wearing. You should clean it immediately. When you are using the L’Oréal Paris Colorista Semi-Permanent Hair Color, you need to know that this is only for blondes and lightly bleached hair. This isn’t something that is recommended for darker hair. The chance won’t be seen that easily. This is a vegan hair dye that wasn’t tested on animal. No ammonia or peroxide is used in the making of this purple hair dye. It is really easy to mix and will make sure that you can apply it by yourself. The color will last between four and 8 washes and there are a couple of different colors besides purple that you can purchase. No mixing is required. You can just apply it to your hair without any problems with mixing it wrongfully. You need to know that this hair dye might contain ingredients that might cause an allergic reaction. Use with care if you are prone to allergic reactions to hair products. There aren’t many purple hair colors that are long-lasting and vibrant on the market. But, Sparks long-lasting bright hair color is the ideal hair color. The color is really long lasting and it takes a while before the hair starts to fade. It can be used on darker hair for a highlight. But it can also be used on light colored hair. In fact, it is preferred to use light-colored hair, or bleached hair if you want to get a vibrant color. There are a couple of different colors available, and also you can find more than one shade of each color. Making sure that you are getting the results that you were hoping for. It is affordable, and many people are saying in reviews that this is the only product that they are using. People are stating that if you are using the instructions for the coloring instructions, you will have colors that are going to last for months. Special effects SFX hair color dye is also known as one of the best hair dyes that you get. Especially, if you are looking for a variety of different colors. It is a vegan product. Meaning that there aren’t any animal products added to the hair color and that it wasn’t tested on animals. It is a great conditioning hair color that is conditioning the hair as it is coloring the hair at the same time. It will wash out completely from 3 to 6 weeks. Making this a long-lasting purple hair color. When the color is fading, it is going to still look great with shades of the color that you have used to color your hair. Just like most of the other hair dye that you can purchase, this one has a variety of different colors and shades. The longer you are keeping the product on your hair, before rinsing, the more vibrant and bright the colors will be. You might know by now that your purple won’t last very long. And, that you need to make sure that you are going to have hair that is fading fast. If you want to make sure that your hair color is long lasting, there are a couple of tips that you need to know. The most important thing is that you should avoid as much sunlight as possible. If you are going out in the sun, you should wear a hat for protection. There isn’t anything else that will fade your color as the sun. You should also make sure that you are washing your hair with a high-quality shampoo and that you should wash your hair with cold water. Hot water will fade your color a lot faster. The other thing that you should consider is that you should purchase the right brand purple hair dye. The higher the quality, the longer lasting the color will be. The cheaper versions will fade away a lot faster. If you have dark hair, and you want to dye it purple without bleach, we have bad news for you. This isn’t going to happen. Especially, if you want bright purple that is you can see from a distance. The good news is that you don’t need to worry. You can still color your hair purple if you have dark hair. The only thing is that you won’t see it as bright as with lighter hair color. But this can still look really great if you really don’t want to bleach your hair before you are dying your hair purple. It is a question that many first-timers are asking. What is the purple color going to look when it starts to fade. You don’t want to look like a clown. Some of the colors like red will fade away as pink or orange. Something that not many people want. So, now the question. What does purple hair look like when it fades? It depends on your natural hair color and the type of purple dye that you have been using. Most of the purple dye, especially on light hair is going to become violent and then grayish. Both, a great color to have. For the darker hair, it is just going to fade into your natural hair color. Not really seeing the purple any more. You should make sure that the product that you are going to use isn’t going to vote as easily. Making sure that you won’t need to redeye your hair frequently. There are many women that have questions about making their hair purple. This is so that they know that they aren’t going to make a mistake with purple hair. These are some of the most common frequently asked questions that women have about dying their hair purple. It depends on what your natural hair color is, and how bright you want the purple color to be. If you want only a shade of purple, then no, you don’t need to bleach your hair. But, if you want to make sure that your color is vibrant and really showing, then yes, you might want to bleach your hair. The only time that you don’t need to consider bleaching, is if your hair is already blond. If you are familiar with dying your own hair, then you can dye your hair at home. The only secret is that you should make sure that you are purchasing the highest quality purple dye that won’t damage your hair in any way. But it is always recommended that a professional is doing it for you. Especially, if you need to bleach your hair beforehand. Here is the secret. 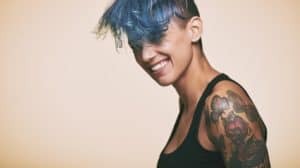 If you have died your hair permanently purple, you can use the semi-permanent on a regular basis, to keep your hair as vibrant and bright as possible. It is not that expensive and you will have long lasting purple hair. It is important to consider your normal hair color and to make sure that you know how bright you want the purple to be. The darker your hair, the darker the shade of purple should be. Many people are making the mistake in choosing the wrong shade of purple. You need to make sure that the color suits you, and that you are choosing the product that is long-lasting and vibrant. You want to make sure that you are purchasing a high-quality purple hairstyle that is known as one of the best purple hair dyes on the market. The more money you are going to spend on purchasing the right purple color purchase, the better-quality color you are going to get. This is making things so much easier to make sure that you know what the purple hair color is that will give you the best results. The other thing that you should remember is that you need to ensure that you don’t stain your clothes or furniture.